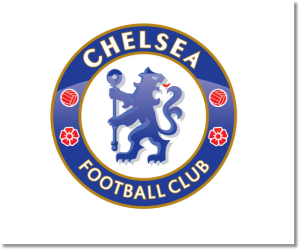 Premier League Preview for Chelsea v Manchester United along with Predictions for every result in the EPL. Follow up each match with results and video highlights posted later in the week. Their 2-0 away win against Hull City over the weekend was their fifth straight win in all competitions. They also have just one loss in their last 11 Premier League matches while also winning 10 out of their last 11 home EPL games. They have scored at least two goals in each of their last four matches in all competitions. In Saturday’s match Chelsea kept their third clean sheet in all competitions which was also their fifth in six matches. Saturday’s 2-0 home win over Swansea City was basically a must win after losing three straight in all competitions. They had just 39% possession (the lowest in the league since 2005/06) but completed 83% of their passes and had five of their 16 shots on target. They looked dangerous on offense and the changes Moyes made at halftime were positive. United kept their second clean sheet in their last six matches in all competitions while also scoring two goals for the first time in their last five. My pick is for a Chelsea win. David Moyes has yet to win against Jose Mourinho, but I think the big key in this match will be whether Wayne Rooney is fit or not. With a fit Wayne Rooney, United stands a chance of getting a goal and possibly a draw. Without him, they will struggle. Chelsea’s depth and quality is outstanding and far, far better than Manchester United’s. Their best chance of getting a result is to hold Chelsea at bay and work for a counter attack or set piece goal. In the last six meetings between the two clubs Chelsea holds the advantage with three wins and two draws to Manchester United’s one win.